If you were taking a complicated route out of town you would write down the directions. But if you are considering the future path of your life, your goals, and what you needed to do to achieve them you probably wouldn't write any of it down. Think of it - the most significant journey of your life, and you probably won't put a word of the directions on paper. Writing your plans, goals, and ideas makes them more real for you. Every step you take to define what you want and what you need to do to get it increases the chances that you will actually pursue these goals and someday achieve them. Creating goals is a powerful way to focus your personal vision and manage the roles that place so many demands on your physical, mental, and emotional resources. When you define your goals, you take the first, most critical step on the path to producing exceptional results. As you track and measure your progress, you will find yourself far more likely to spend valuable time and energy on what is most important to you. With each new goal you achieve, you experience greater self confidence, challenge yourself to stretch and achieve new things, and build success upon success. Attaining your goals requires total commitment. Most high achievers strongly believe that a goal is concrete and effective only when it is established in writing. The process of writing goals formalizes your commitment, almost like signing a contract with yourself. It also helps you set priorities, develop action plans, and decide how much time, energy, and effort you want to invest in achieving success. As an added benefit, you can refer to written goals over and over again, which reinforces your resolve to attain them. Follow the steps below to formulate your own personal goal . *Identify you aspirations in each area of your life. *Don't be afraid to "dream big." Ask yourself: What would I do if I knew I would succeed at it? What would I like to accomplish in one year, three years, five years or beyond? *Record your answers and ask yourself: Which aspirations are most important at this point in my life? *To begin creating a SMART goal, decide which aspiration is most important to you. Ask yourself: Why is it important for me to focus on this aspiration right now? How will it benefit me? *Using the SMART method, turn your aspiration into a SMART goal. Ask yourself: How will I make this aspiration Specific? Measurable? Actionable? Realistic? Time-based? *Now, combine your answers into a clearly written goal - one or two sentences that include your overall framework for achieving this goal. *Ask yourself: Have I applied all the elements of the SMART method? Is my goal concise and easy to understand? If I show this goal to someone, will she immediately know exactly what I want to do, when I plan to achieve it, and how I'll know that I've reached my goal? *Consider some of your past successes in different areas of your life and identify your incentives. What short-term rewards kept you focused on your goals, even if you didn't see immediate results? Which rewards seemed to occur naturally as a by-product of your hard work (for example, receiving a new customer referral as a result of your outstanding service)? Which incentives did you build into your goal? *When you've identified several short-term and long-term incentives that work for you, record them and keep them with your written goals. *Refer to your incentives list frequently and make sure you're rewarding yourself often enough. *Choose what type(s) of visualization works best for you, then do it. *No matter who you share you goals with, share them with someone. 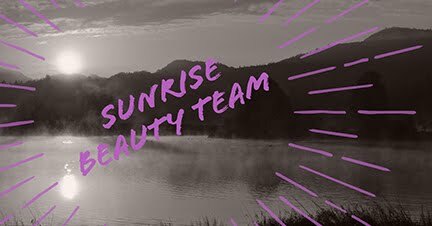 Other representatives, especially your Leadership upline, are often the best "goal buddies" to have because not only do they tend to understand the ups and downs of being an Avon Representative, they may also have ideas to share that could be the key to you reaching your goal. Family members are also good choices to recruit for your cheering section. For many representatives, support from their families and other representatives have been essential to their continued success. When sampling scents (for you or for the home) stop after 3 scents. After that your nose can get overloaded and you won’t get a true sense of the fragrance. You can clear your palette so to speak by sniffing coffee beans if you want to continue sampling. Fragrance is affected by our personal body chemistry so don’t base your choice of personal fragrance on the scent right out of the bottle, or on another person. Try some on, and wear it for a day so you can get a true sense of how it will react with your personal chemistry. Choose a small spot, so you can easily wash it off if it turns unpleasant. Fragrance can also be affected by the things you eat. Pungent or spicy foods can alter your personal scent, and react with your fragrance, altering it’s scent. Of course sweat also has an affect – perfumes and colognes do not always cover body odor, sometimes they combine with it to make a whole new smell. If you’ll be in direct sunlight for any amount of time, you’ll want to avoid applying fragrance in exposed areas even if you won’t be sweating because sun exposure and fragrance don’t mix well. Splash forms of fragrance such as after shave contain the lightest concentration of fragrance oils the rest being mostly alcohol which is why you get that lovely stinging sensation when you actually use after shave AFTER you shave. Alcohol is also very drying so I don’t recommend the use of aftershave. Your best bet is a nice moisturizer with sunscreen, and spritz cologne elsewhere, or an after shave lotion. Body sprays are next with just slightly more fragrance than a splash. Eau de Cologne and Eau de Toilette are the next, containing about 5-15% essential oils. These are the most common forms in men’s fragrance and a less expensive option for women’s scents. Parfums are the highest concentration and the most expensive with as much as double the concentration of oils as eau de parfum. Perfumes and colognes are typically made up of different notes, although there are sometimes single note fragrances, most have 3 notes. A base note a mid note and a top note. Top notes: The scents that are perceived immediately on application of a perfume. Top notes consist of small, light molecules that evaporate quickly. They form a person's initial impression of a perfume and thus are very important in the selling of a perfume. Also called the head notes. Middle notes: The scent of a perfume that emerges just prior to when the top notes dissipate. The middle note compounds form the "heart" or main body of a perfume and act to mask the often unpleasant initial impression of base notes, which become more pleasant with time. They are also called the heart notes. Base notes: The scent of a perfume that appears close to the departure of the middle notes. The base and middle notes together are the main theme of a perfume. Base notes bring depth and solidity to a perfume. Compounds of this class of scents are typically rich and "deep" and are usually not perceived until 30 minutes after application. How to wear your fragrance. First and foremost, for the sake of those around you, always obey the arms length rule. Your fragrance should not enter the room before you, nor should anyone be able to tell you were in the room by taking a deep breath after you have left. No one standing more than arm’s length away should be able to smell your fragrance. Fragrance rises so don’t limit your application to behind your ears or on your neck. Aim for your pulse points and warm spot – crook of the elbow, back of the knees etc. You may need to reapply … fragrance typically last 3-4 hours depending on what form you use and again, your personal chemistry. Layering fragrance helps it to last longer. Using a body wash, and especially a body lotion that matches your fragrance will help the scent hold longer. Dryer skin will loose the scent faster than well moisturized skin. If you use a deodorant soap, it can neutralize your fragrance. Be careful about spraying fragrance on your hair. Hair is porous and retains fragrance well, but be sure to spray on freshly shampooed hair without gels or sprays. Oils, dirt and other hair products can distort the scent, especially if they themselves are scented. Enjoy your fragrance. Don’t save it for special occasions. Fragrance will evaporate and change once it’s opened, even sprays as those bring in more air with each spray. Keep it fresh by storing in a cool dry place, away from the sun…which by the way is not your bathroom. Avoid applying fragrance directly on clothing as the oils can stain. You can also spray your favorite fragrance on cotton balls and tuck them in your drawers and closets or spritz on your sheets for sweet dreams.